I knew that Trondheimsfjord and Bymarka in two days was a lot to ask of myself, but I couldn’t help myself and made the most of both of them. Which was utterly and completely amazing and extraordinary, but left me unable to walk and move properly for the following 48 hours. My muscles were sore beyond imagination. This explains why I spent the whole of my last day in Trondheim walking and moving in slow motion. Anywhere I went, I went in slow motion. I took photos in slow motion, crossed the street in slow motion and carried my luggage in slow motion. I climbed the stairs and walked uphill in extremely slow motion. I even ate and drank in slow motion. 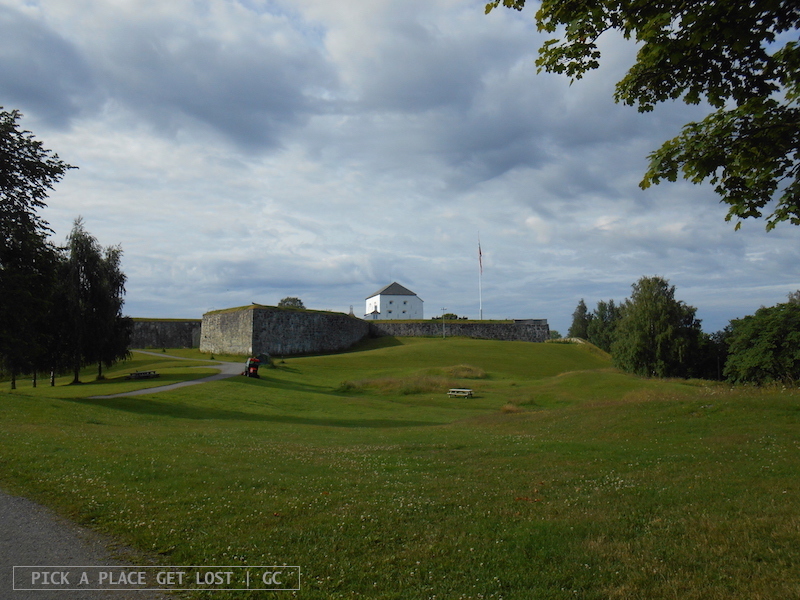 First thing in the morning, I dragged myself (in slow motion, that is) to Kristiansten Festning, Trondheim’s fortress. The walk is nice and short, and takes you to the very top of a hill. The fortress building looks almost too perfect to be real, but it is, in fact. Built toward the end of the 17th century, it’s a blinding white cube with small, oval windows dug in its thick walls. Its dark roof looks like a lid carefully placed on its top. The building was erected on high ground and is surrounded by green grass. 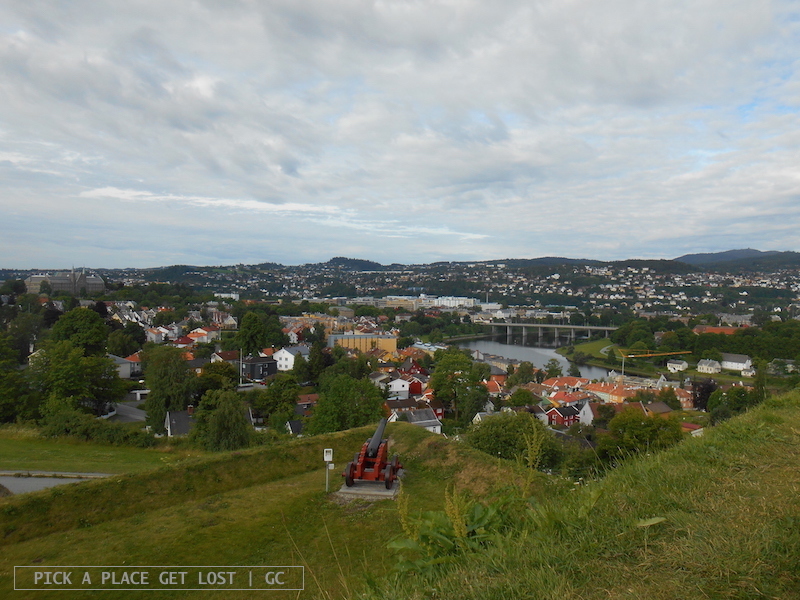 Its thick bastions were originally to protect it against enemy attacks, and now provide the visitor with a beautiful 360-degree view of Trondheim. I mean, the view is truly stunning. Plus, I was there quite early in the morning, so it was very peaceful and silent, which made it look even more solemn. 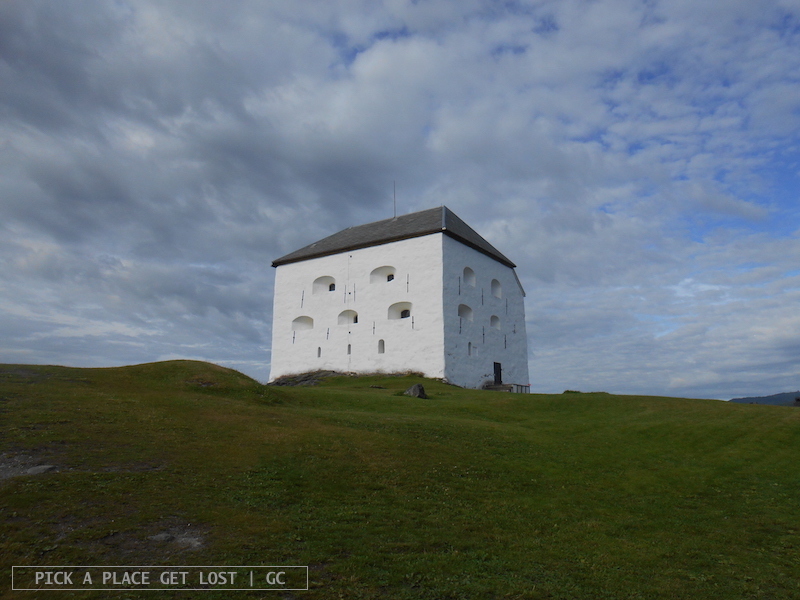 After walking back downhill, I was able to make it to the Ringve Music Museum. The exhibition of musical instruments is truly unique. In fact, I wonder if any other music exhibits can even remotely compare with the Ringve collection. During the visit, I learned about the existence of instruments I’d never seen or heard of before, so much so that I genuinely asked myself whether it was me or they were actually peculiar themselves. The main room displays an unimaginable amount of instruments in chronological order. The smaller room includes displays of instruments and objects that can be used to play music, classified by world region. Some of them you can even go and play yourself! That was fun. 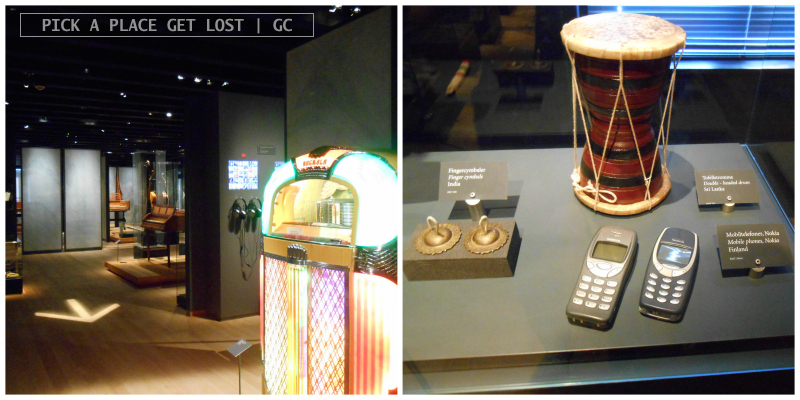 I had a bit of a shock when I saw that one display case contained a small drum, two super tiny cymbals and… two Nokia 3310 mobile phones. LOL. When Nokia 3310 was launched, it was the latest and most coveted model. Now it’s on display in museums. God, I feel so old. I made to walk back into town, when I noticed that the coast (aka the fjord) was very close to the Ringve site, so I thought I’d go back to the city centre via the coastal trail. I found myself on a small quiet beach with a stretch of sand among the rocks. ‘I could do with a break’, I thought. 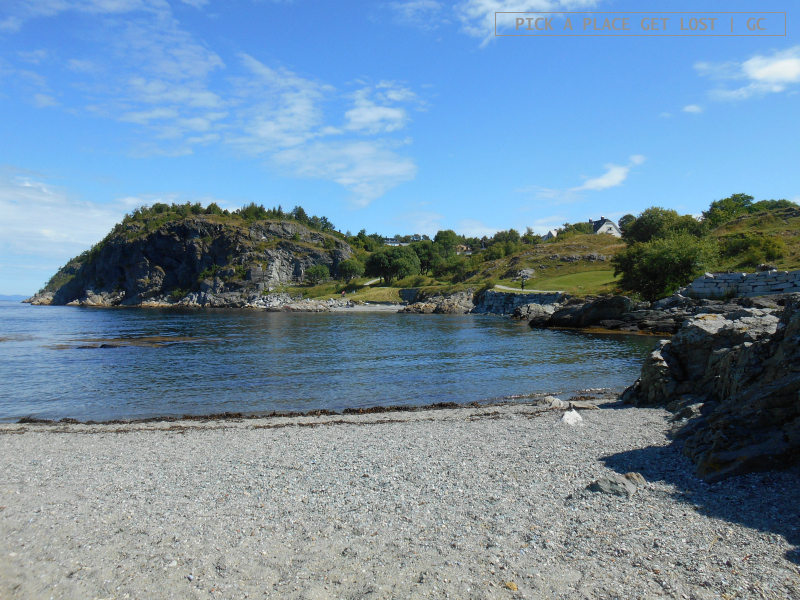 I’d walked past that beach only 48 hours earlier, while returning from Væesholmen. I even took photos of this exact spot (here’s a reminder). 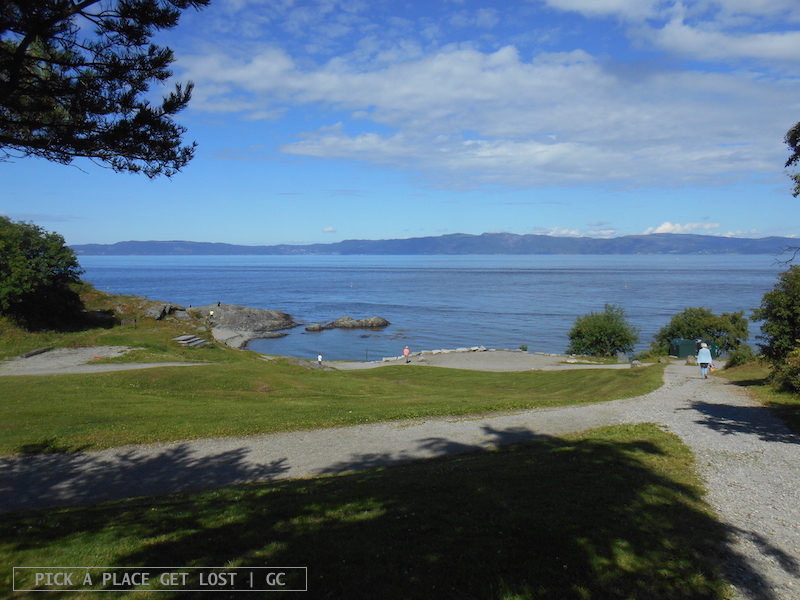 It was Korsvika beach! Except, 48 hours ealier the weather had been so crappy that I could barely tell I was the same place. It was now sunny and warm, the sky blue and cloudless, the sea also blue and warmed by the sun. When enthusiasm subsided, I took more photos, then slumped on the rocks and fell asleep. After the timeliest power nap, I ate my sandwich and trudged back to the centre. 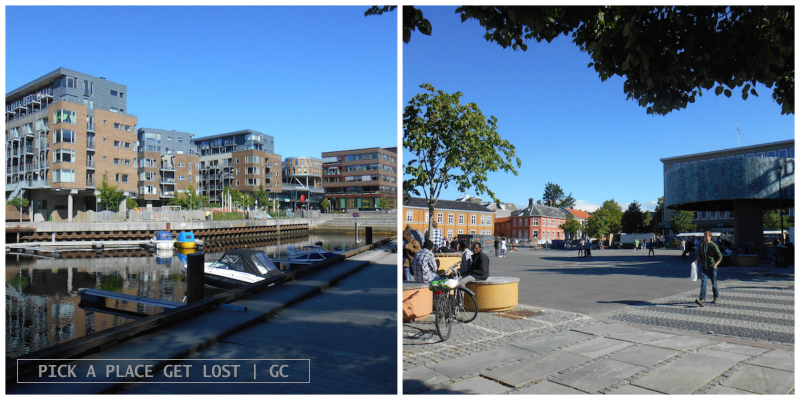 There I spent a couple of hours wandering about and sitting on all Trondheim benches. Yes, that’s how knackered I was. 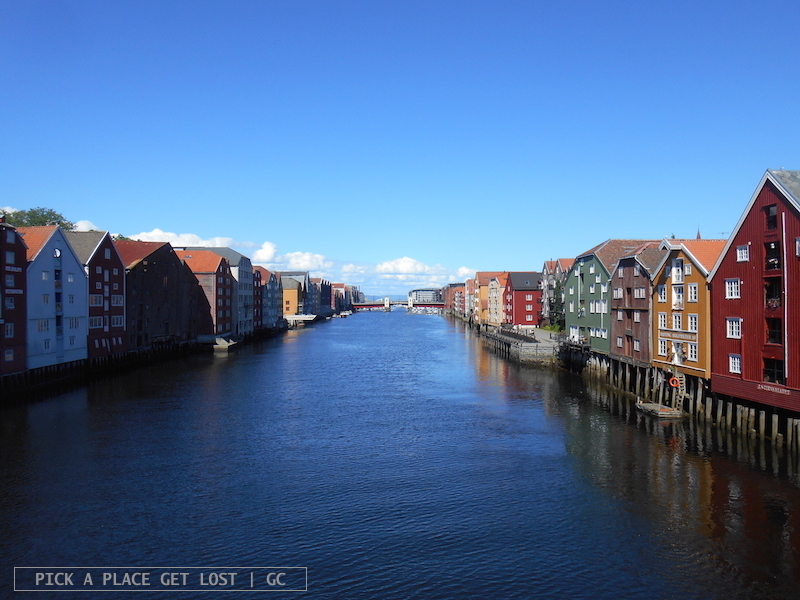 But I was even able to take the photo of the Bryggen from the old bridge with the blue sky. At some point, I knew I had to go back to the hostel to collect my bag and head toward the station. 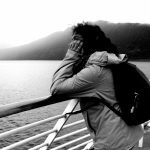 So I thought: ‘Let’s just get this over with’. I sat at Ravnkloa watching a beautiful sunset for as long as I could, until I knew I had to go to the station. 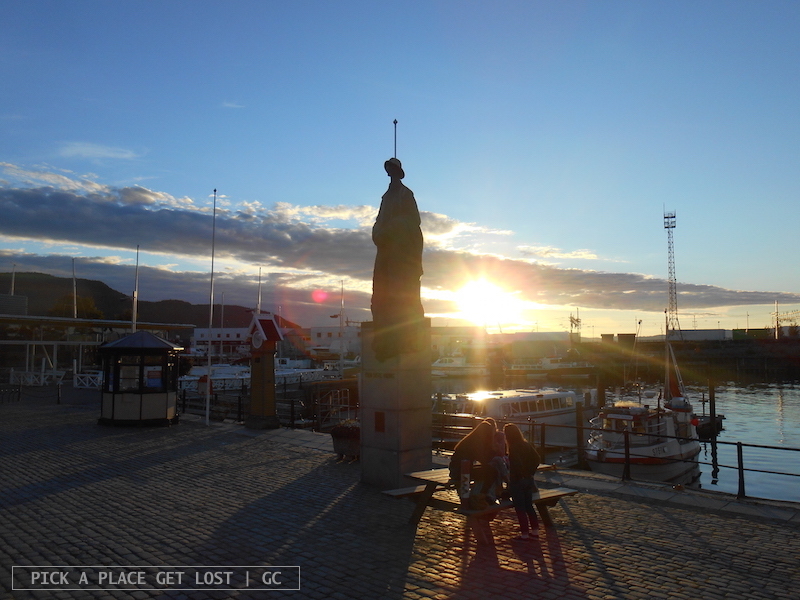 I wasn’t sure how I could possibly say goodbye to Trondheim, so I thought I wouldn’t. This way we’d have something pending, and I’d have to be back and sort it out at some point. This entry was posted in Norway, Norway 2016 and tagged korsvika, kristiansten festning, norway, ravnkloa, ringve, trondheim by Giorgia. Bookmark the permalink.